Valve have revealed plans for Dota 2’s latest update, which makes changes to Ranked All Pick, adds a minimap Scan ability, introduces new items, and makes a host of other balance adjustments. Pick your next character from our list of best Dota 2 heroes, but hope they’re not banned with this new rule. The biggest change to Dota 2 in the latest patch is a change to Ranked All Pick that adds a 15-second “voting phase” which happens ahead of the picking phase. Each player votes for a different hero, and half of these picks will be selected at random and banned, distributed across teams as evenly as possible. A new Scan function has also been added to the minimap, letting you select an area on the map for eight seconds to see whether it contains any heroes or not. It won’t tell you how many heroes are present, so you could well run into an unexpected force, but you will get a definitive answer and the enemy won’t know they’re being scanned. It’s worth noting that the Scan function does not consider units inside the Roshan Pit, but does consider Smoked units. On top of this, there’s been an increase in starting HP from 180 to 200, HP per strength has been boosted from 19 to 20 and base mana has been bumped from 0 to 50. There are a bunch of other smaller changes and you can read them in full over on the official Dota 2 patch notes. 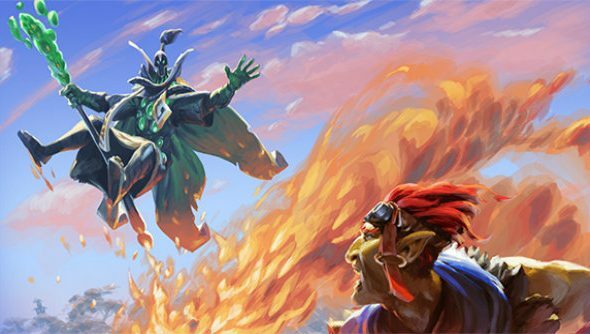 Dota 2’s 6.87 update will be rolled out over the next few days, or you can try it out early in the Test client.